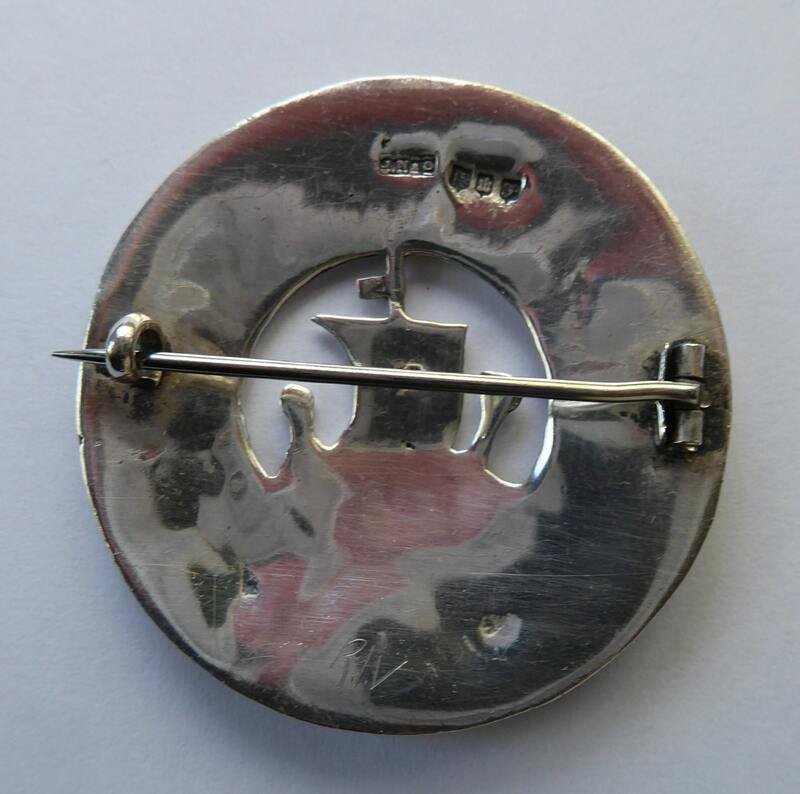 This is an attractive Edinburgh hallmarked brooch made by James Ness of Edinburgh - who have a celebrated store in Queensferry Street. 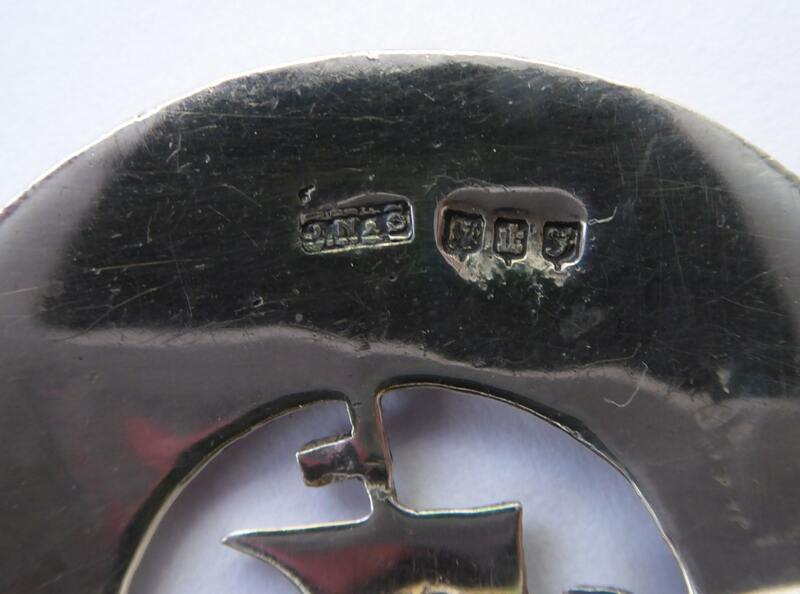 The brooch is stamped to the reverse with the maker's mark - and the date letter for 1936. 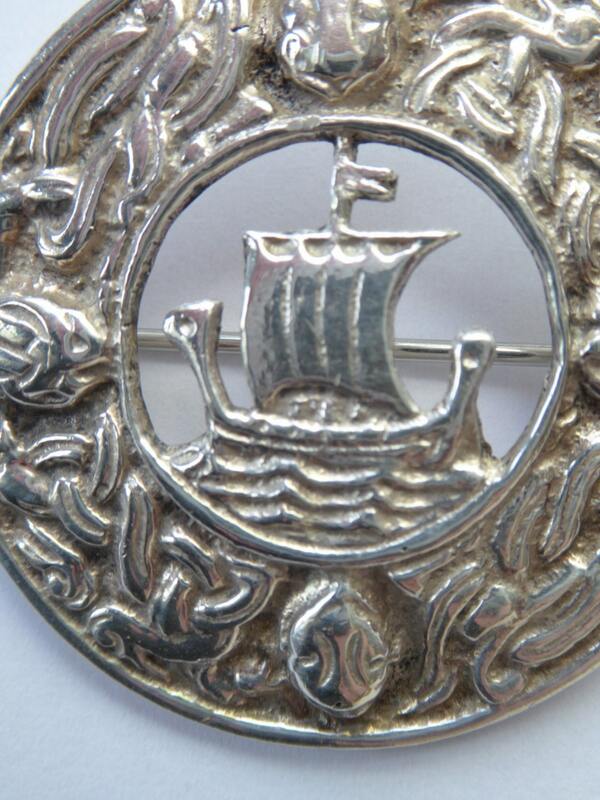 The brooch is circular with a Celtic knotwork design to the border. 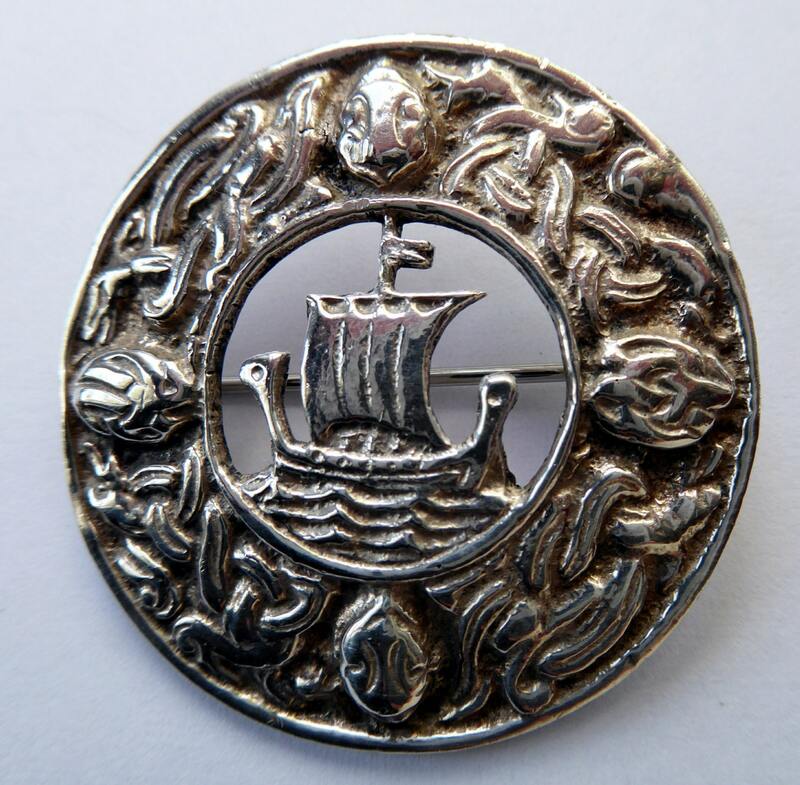 In the center is a cut-out image of a Viking Galleon. 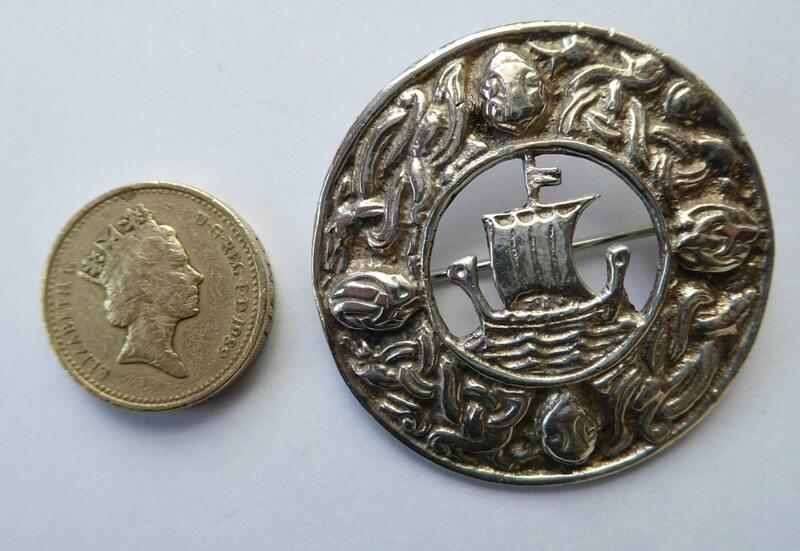 A nice large size, measuring some 4.2 cm in diameter. It has an old fashioned C-clasp - and both the pin and clasp are nice and firm.